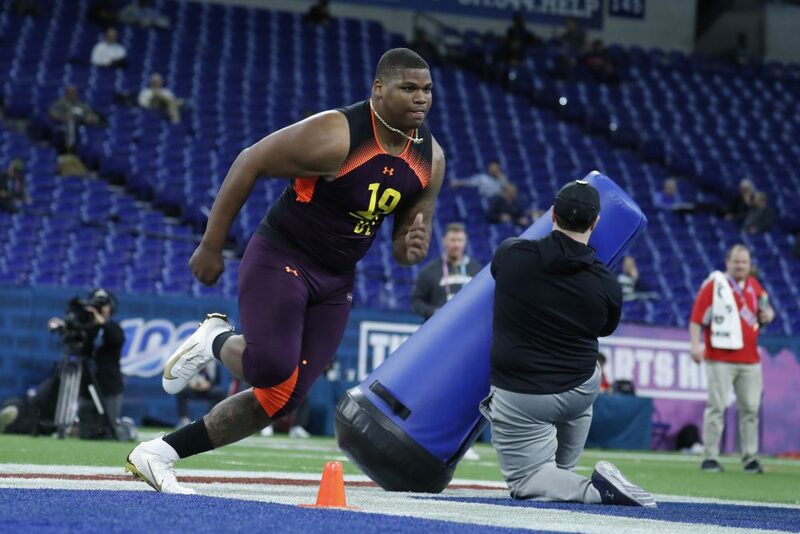 According to Ian Rapoport, projected top 10 pick and former Alabama star Quinnen Williams had dinner last night with the New York Giants and is scheduled to meet with the San Francisco 49ers today at Alabama’s pro day. It was also added that Williams will have facility visits with the top 7 teams picking in the 2019 NFL draft. This basically confirms Williams will be off the board in the very early portion of the draft which should come as a surprise to no one. Rapoport also added that Williams is “not expected to do anything at all today” at Alabama’s pro day. Williams is seemingly content with what he showed NFL teams at the scouting combine.